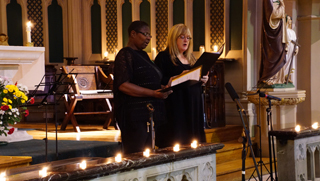 For the fourth of our music festivals we had the pleasure of listening to our various groups that perform regularly at services. 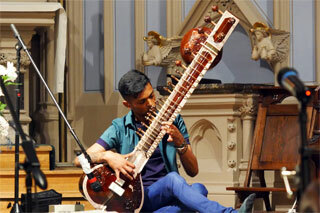 We were also pleased welcome a new friend, Mohibur Miah who played a specially composed piece on Sitar for us. 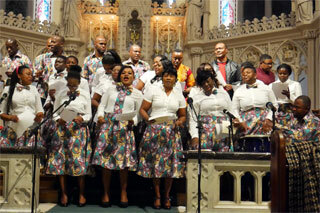 The programme was varied and included "Feel my love" and "Ain't Misbehaving" from the Folk group. 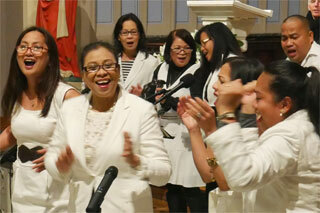 The Filipino Choir followed this with a rowsing perfoemance including Hilumin Mong Bayan Ko ( "Lord Heal Our Land") and Labis Na Galak ("Extreme Delight in the Lord"). 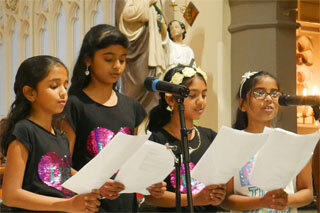 Then the Junior Indian Community sang "Rockabye"
"Lord make me a means of your peace" was the offering from the Teenage Choir. 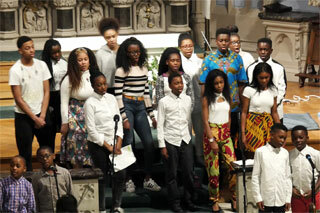 and the African choir peformed Mwishe - Mwishi (Come to me you who are burdened) and Akekho Ofana No Jesu (There's no one like Jesus). 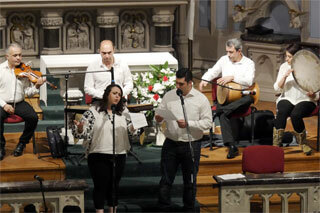 The programme also included a group of Iranian musicians lead by Hammid Tayyebi. They played and sang traditional Iranian music on violin, santoor, tonbak and daf. 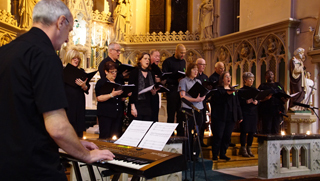 A really successful event finished off by Nostro Coro singing "Down by the river to pray" and "Let your little light shine, shine, shine". Annual International Music Festival 5 will be on 1st December 2018. Hope to see you there.